GOOSY, the filling for cushion covers, is particularly soft. 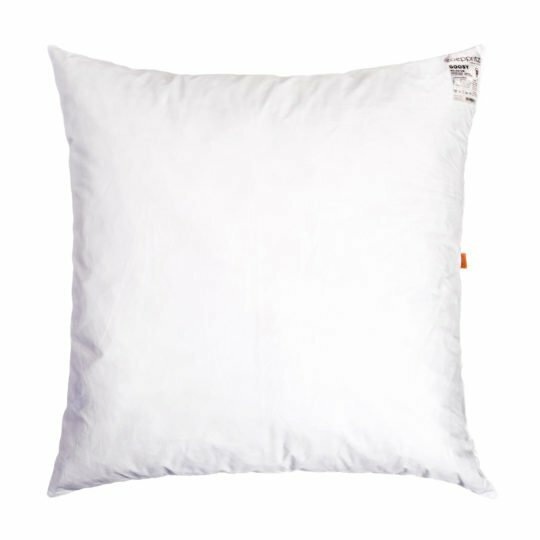 Pillows, decorative and scatter cushions with this filling become particularly cuddly and huggable. GOOSY consists of a mixture of 70% duck feathers and 30% elastic air cell rods. Using GOOSY, cushions become a lot more stable in form in comparison with a pure feather filling. The feathers used for the cushion filling originate from animals that are kept in appropriate conditions at selected suppliers and are not plucked from live animals.